Active Trans proposes a ciclovía on Milwaukee Ave. Will City Hall help out? Last week bike-friendly 1st Ward Alderman Proco “Joe” Moreno hosted an Active Transportation Alliance member social at the Fifty/50 bar in Ukrainian Village. In addition to presentations by other Active Trans staffers about the city’s Streets for Cycling initiative and bus rapid transit pilot, Julia Kim gave an update on this year’s plans for staging “ciclovia” car-free events. As Grid Chicago readers know, the ciclovia (Spanish for “bike path”) movement started in Bogotá, Colombia, decades ago, with that city shutting down a network of roads to car traffic to allow citizens to stroll, jog, bike, dance and hang out, encouraging healthy recreation, social interaction and commerce. Nowadays Bogotá holds a ciclovia every weekend on a 70-mile network, drawing millions of participants. 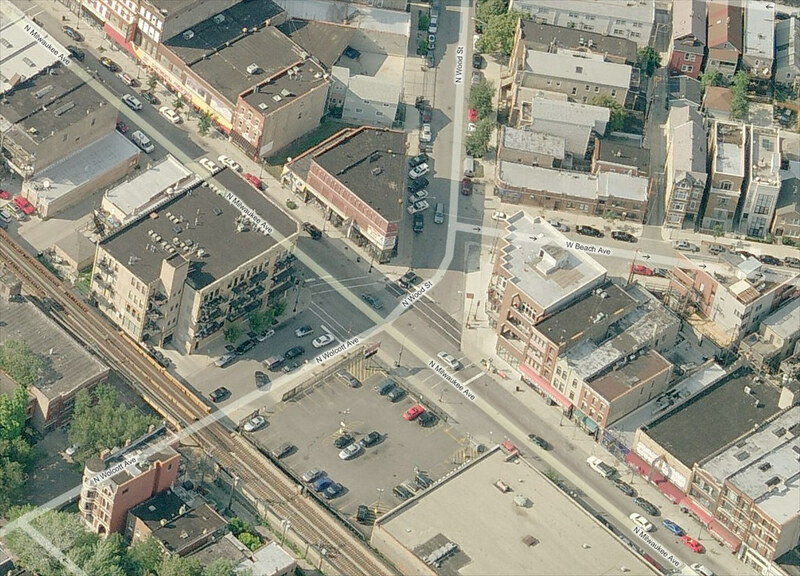 Continue reading Active Trans proposes a ciclovía on Milwaukee Ave. Will City Hall help out? Posted on February 27, 2012 February 28, 2012 Author John GreenfieldCategories Chicago, Events, Funding & Finance, Interviews, Neighborhoods, Planning & Policy, TransportationTags Active Transportation Alliance, ActiveTrans Social, Alderman Moreno, ciclovia, Open Streets, SSA, Wicker Park13 Comments on Active Trans proposes a ciclovía on Milwaukee Ave. Will City Hall help out? Portions of the North/Clybourn Red Line station were completely rebuilt using funds contributed by Apple in an example of joint development – a value capture financing tool. Photo by Kevin Zolkiewicz. As a nation, we are not investing enough money in our transportation infrastructure. We pay for transit, sidewalks, roads, and trails using a set per-gallon fuel tax – an unsustainable revenue source (see note 1) – and the recently proposed MAP-21 surface transportation bill does not propose any new fees or tax increases to ensure that federal money will be available to pay the cost of maintaining our transportation system. The unsustainable nature of our current transportation funding system is not really news, and Grid Chicago readers are particularly well-informed: we discussed the shortfalls of “traditional” transportation funding in a recent series of posts. But what may be news to you is that forward-thinking local communities are choosing to go the DIY route: they are looking for innovative ways to pay for needed infrastructure investment themselves.